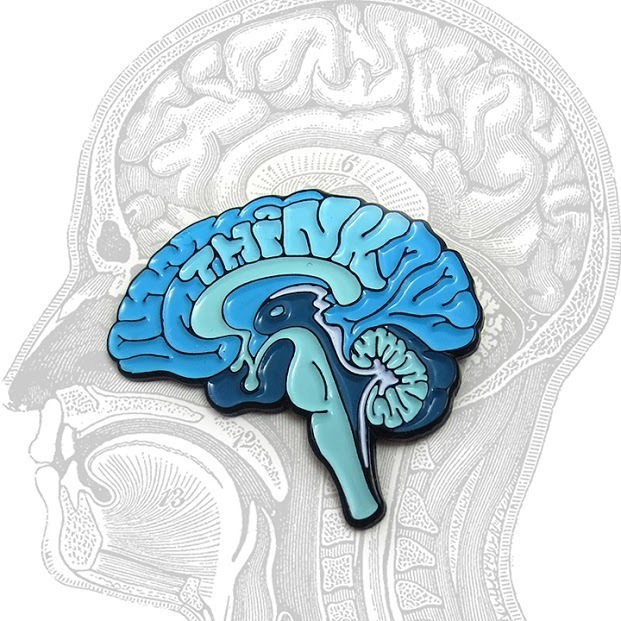 Original hand drawn illustration of an anatomical brain with the word THINK in the cerebral gyri and sulci. Perfect for your backpack, purse or jacket! Artist: Anatomical Element. Measures 1.24 inch by 1.24 inches. Soft enamel, rubber clutch on back. Manufactured by TrueMetalWorks.